For those of you that wish to lock/unlock your OnePlus 3 bootloader, install a custom/stock recovery or flash a stock factory image and, like me, are not fully conversant with ADB instructions, then this multi purpose tool is a simple and easy way to accomplish these tasks. Put together by the well known developer, mauronofrio, over on the xda developers forum, this tool has become an indispensable item for me, since owning the OnePlus 3. 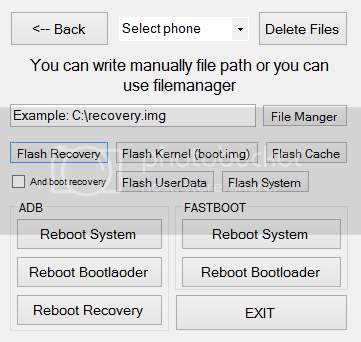 I particularly like the Advanced Option for flashing the new modified TWRP Recovery for the Community Beta builds 3.5.2 & 3. 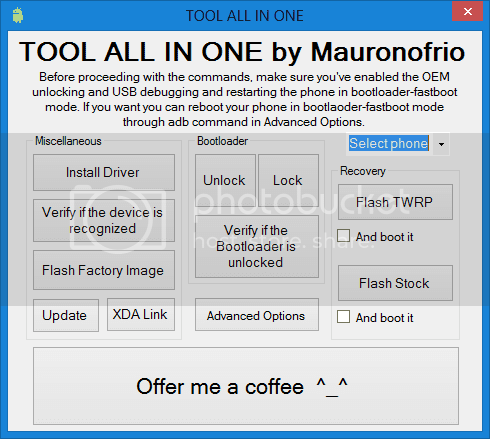 Feel free to make a donation to mauronofrio while you are downloading your Tool All-in-One.